Have you ever wondered what makes blood red? If we have an injury, our precious blood flows out before our eyes. Then, as we frantically stop the bleeding, we notice that it is in red color. Most of us do not think about our blood very often, unless we get cut and see it oozing out. But, blood is the vital fluid of the body and it is truly referred as river of life. Let&apos;s see why blood is so vital for life and we will talk more about the logistics of the blood next. Innumerable needs in all living organisms – such as carrying oxygen to each and every tiny cell in the body, providing nourishment to the cells, and even eliminating waste products from the body – are met by substances carried by circulatory system. In our body, the fluid that performs all these functions is the blood. Every single cell in our body, from a skin cell on our foot to the specialized retinal cells in our eyes, completely depends on what blood provides. Blood is the red fluid that circulates in our blood vessels. Blood flows through the arteries and veins that interpenetrate the body like a transport network or river delta, visiting every single corner of the body. Take a good look at your hands and wrists. You tend to see lots of bluish lines that look like a maze under skin! Those lines are referred as veins that sends blood throughout the body. Blood is the red fluid that circulates in our blood vessels, i.e arteries and veins. 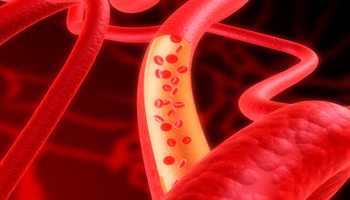 Blood viscosity is the direct measure of the ability of blood to flow through the blood vessels. The main function of blood is to act as the body&apos;s transport system. Blood flows through the arteries and veins that interpenetrate the body like a transport network or river delta, visiting every single corner of the body. When it travels through the arteries, that river carries numerous substances that the cells require. Blood acts as cargo–package system which consists of food, water and various chemical substances. The most urgent and vital package to be delivered is oxygen. Thanks to the uniquely constructed system in our body, however, the packages are delivered to each and every cell in time and to the correct “addresses”. Blood carries oxygen to each and every corner of the body. Substances of all kinds that the body requires are carried to the relevant organs by the blood. Nutrients such as glucose, amino acids and minerals—and most importantly, oxygen—are just a few of these. Blood also has a major role in the body&apos;s defense against infection. Cells of the blood and constituents of the plasma (the colorless fluid part of blood, lymph, in which corpuscles or fat globules are suspended) interact in complex ways to confer immunity to infectious agents, to resist or destroy invading organisms, to produce the inflammatory response, and to destroy and remove foreign materials and dead cells. The leukocytes (white blood cells) have a primary role in these reactions: granulocytes and monocytes phagocytize (ingest) bacteria and other organisms, migrate to sites of infection or inflammation and to areas containing dead tissue, and participate in the enzymatic breakdown and removal of cellular debris; lymphocytes are concerned with the development of immunity. Thus, there is no substitute for blood. It cannot be made or manufactured. Donors are the only source of blood for patients who need it. Hematopoiesis Hematopoiesis is the process of production, multiplication, and specialization of blood cells in the bone marrow. How does the body make blood? About 95% of body&apos;s blood cells are produced by bone marrow. Bone marrow is soft and spongy material that occupies the center of the bone. It is the main production site for RBC. Other organs like lymph nodes, spleen and liver regulate around remaining percent of blood production and differentiation. There are two types of bone marrow: red and yellow colored. Red bone marrow is the site for production of RBC. 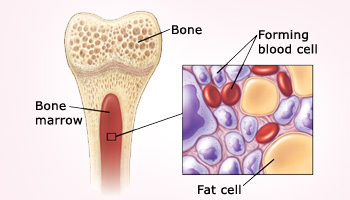 Yellow bone marrow contains fat cells. The process of production of new blood cells is called hematopoiesis. Though red bone marrow is found in every bone in infant stage, as we age red bone marrow converts to yellow bone marrow. In adults red bone marrow is found in sternum, breastbone, ribs, shoulder blades, vertebrae, skull, pelvis and ends of long bones in arms and legs. Blood is red in color due to the presence of heme protein. Blood is red from the protein, hemoglobin. Hemoglobin has a molecule called a "heme" which has the metal iron in it. When the iron is oxygenated, it becomes red. When the iron is deoxygenated, it becomes blue. This is why your veins are blue. What gives blood, red color? In living mammals, blood is red in color. It is very well known fact. But when we wonder why it is so.... science gives us the answer. Erythrocytes are red in color due to the presence of heme protein. The protein is made up of globin and heme. Heme gives blood cells red color. Each molecule of heme protein has four heme groups. These heme groups have iron molecules attached to them. They alter their shape and color on interaction with various molecules. Thus heme protein gives bright red color to the blood when it combines with oxygen (oxygenated) and dark red color when oxygen is released. In vertebrates, arterial blood and capillary blood is bright in color as it is oxygenated, whereas in the veins it is very dark red as they carry deoxygenated blood. The interesting part is, in few molluscs and arthropods, the blood is gray to pale yellow in color but it turns to dark blue when exposed to oxygen in air, as seen when they bleed. This happens due to the presence of copper containing protein in the blood known as hemocyanin. Similarly, the blood in some species of ascidians and tunicates such as sea squirts and sea cucumbers, contains a protein called vanadium. Though its not clear whether they carry oxygen, when their blood gets exposed to oxygen it turns mustard yellow. 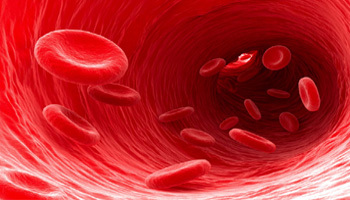 In order to know the reason for blood being red in color, we need to know more about RBC. 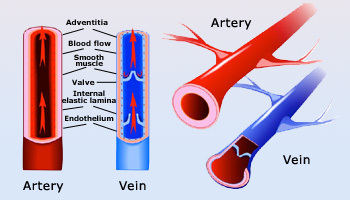 Oxygenated and deoxygenated blood in arteries and veins respectively There are two types of blood vessels in the circulatory system of the body - arteries that carry oxygenated blood from the heart to various parts of the body; and veins that carry blood towards the heart for purification. What is blood made up of? All humans produce these blood components – there are no populational or regional differences. Blood is life maintaining fluid circulating through the body. It carries hormones, vitamins, antibodies, heat and oxygen to various organs in the body and carries away waste matter and carbon di&dash;oxide. In vertebrates human blood consists of 22% of solids and 78% of water. WBC, Plasma and Platelets are the components of blood The individual components are red cells, white cells, platelets and plasma. These can all be put to different uses. 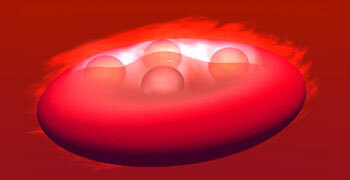 Plasma: It is the fluid part of the blood in which blood cells are suspended. Blood plasma is made up of 90% water and also contains various nutrients, electrolytes, gases, proteins, glucose and hormones. 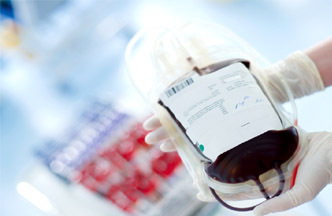 Blood plasma can be separated from the cells by spinning blood in a device known as a centrifuge until the cells collect at the bottom of the tube. Red blood cells: Also known as erythrocytes carry oxygen from lungs to rest of the body. White blood cells: Also known as leucocytes help fight infections and aids in immunity. White blood cells are an important part of the body&apos;s immune system. They defend against certain bacteria, viruses, cancer cells, infectious diseases and other unwanted materials. Platelets: Also known as thrombocytes help to control bleeding. Fat globules, Chemical substances, Gases such as oxygen, carbon dioxide, nitrogen. RBC (Erythrocytes) are circular and have a dimple type crease in the center. They are clearer in the middle because of the thinner cell wall. Erythrocytes i.e. red blood cells are circular, disc shaped (thin in the middle than in the edge) enucleated (without nucleus) cells of the blood. The red bone marrow produces RBC at the rate of 2.5 million per second. It is interesting to know that 4.5 million RBC are present per cubic millimeter of blood in human body and within 20 seconds a RBC can circulate the body. The life span of each RBC is 120 days. Spleen and liver remove old and damaged red blood cells. 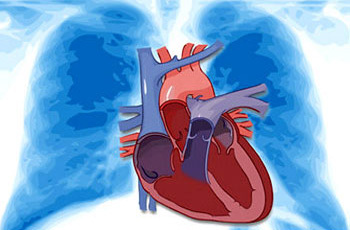 RBC transport oxygen from lungs to all the cells of the body through heart. 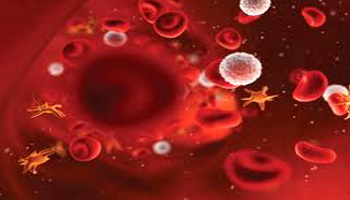 Blood transports materials around the body and protects against disease. It consists of cells, solutes and liquid. 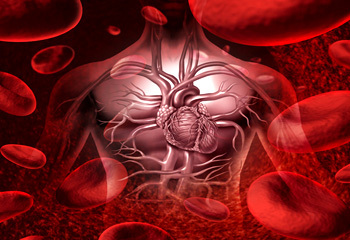 Blood is pumped away from the heart at high pressure in arteries and returns to the heart at low pressure in veins. Responsibility for transportation: Red blood cells are responsible for transport of oxygen from lungs to all the cells of the body through heart. This is because of the presence of hemoglobin in RBC. Hemoglobin has iron that carries oxygen and enables its transfer to all body cells. 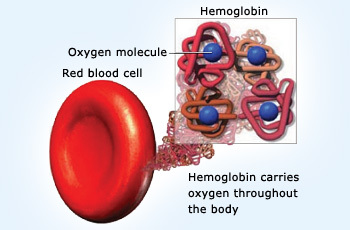 After releasing oxygen at the body cells, iron of the hemoglobin joins to carbon dioxide (waste product of the cell). The RBC then carry carbon dioxide to lungs from where it is exhaled out. Oxygen transport through metal complexes: When at rest, an average adult consumes about 250ml of pure oxygen that is sufficient for all the tissues and organs of the body. But during exercises and rigorous work, our body requires oxygen more than 250ml. Large amounts of oxygen is required by the body for various activities. Transporting large amounts of oxygen by the blood to the tissues that demand continuous supply, requires a very sophisticated mechanism. Thus, the human body is designed meticulously and intelligently. It has all the required tools and gadgets to perform its best. To meet this challenge it is well equipped with finely planned transport system that constitutes heme. When there is minor injury to the body, you might have noticed that the blood coming from the cut stops automatically after sometime. A dark red clot forms which plugs further oozing of blood i.e blood changes from a liquid to a gel. This process is called coagulation. The cessation of blood loss from a damaged blood vessel, followed by repair is termed hemostasis. 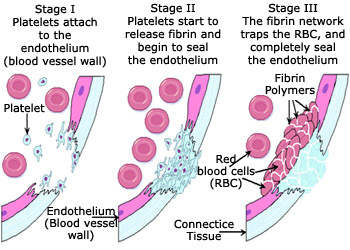 It involves activation, adhesion and aggregation of platelets along with deposition of fibrin. Hemoglobin present in blood is a globular shaped protein. When blood binds to oxygen it gets slightly darker red. It is always red because of the porphyrin in the heme group. The heme group in hemoglobin (the protein responsible for transporting gases in the red blood cells) consists of a porphyrin and an iron ion. Why does blood change its color? Hemoglobin present in blood is a globular shaped protein. Proteins are formed by linking amino acids through polypeptide chains. Hemoglobin consists of four protein subunits. Each subunit consists of alpha helically arranged amino acids that are binded to one another by hydrogen bonds. Each protein subunit contains heme group, which in turn contains an iron atom that binds to one oxygen molecule. Each hemoglobin protein can bind to four oxygen molecules. The heme group alters its shape when it gets oxygenated. 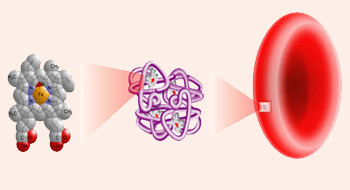 When a single iron atom of the heme group binds with oxygen, the whole protein changes its shape from domed to planar. When the heme group is in its original shape i.e.domed, only one oxygen molecule can bind to it. But when it attains planar shape, it can bind to three more oxygen molecules and gets more oxygenated. So, the binding of one molecule of oxygen to hemoglobin, enables it to bind to more oxygen molecules. This property of hemoglobin is known as co–operative binding. From this, a microscopic observation noting the color of blood can tell if the observed blood is oxygenated or deoxygenated. Still, we may wonder what causes the color change in blood. The answer is here. The color change or difference of color between oxygenated and deoxygenated blood is due to the different light absorbing properties of the oxygenated and deoxygenated blood. Erythrocytes are red in color due to the presence of heme protein. The major function of erythrocytes is to transport oxygen to the body and carbon dioxide outside the body. The erythrocytes swap the oxygen for carbon dioxide then journey back to the lungs and exchange it for additional oxygen. Oxygenated blood appears red in color as it absorbs light in the blue–green range of wavelength and reflects red light whereas deoxygenated blood absorbs light in the orange range and reflects blue light and appears blue. Transporting nutrients is not the blood&apos;s only task. It is also used to remove waste products, such as carbon dioxide, from the body. For example, blood helps to bring a number of different types of toxins to the kidney and liver, so that they can be processed. Blood also plays a pivotal role in fighting infection, helps carry hormones throughout the body, and acts as a sort of thermostat to help regulate temperature.